Phyllis Wise, Ph.D., provost and executive vice president at the University of Washington, has been selected to serve as the next Vice President of the University of Illinois and Chancellor of the University of Illinois at Urbana- Champaign. Phyllis M. Wise, Ph.D., provost and executive vice president at the University of Washington, has been selected to serve as the next Vice President of the University of Illinois and Chancellor of the University of Illinois at Urbana- Champaign. Dr. Wise will join Urbana-Champaign effective October 1, pending Board of Trustees approval. Dr. Wise has a proven record of scientific accomplishment and administrative leadership at the University of Washington, the University of California-Davis, and the University of Kentucky, among other institutions. She's a stellar advocate for public research universities, with an appreciation for our multi-faceted mission, which encompasses teaching, research, public service, and economic development. 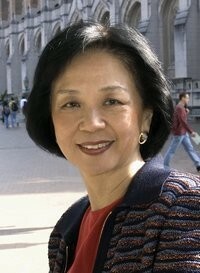 Prior to her appointment as provost and executive vice president at the University of Washington, Dr. Wise was the university's interim vice president from 2010-2011 (stepping away temporarily from her post as provost, which she held since 2005). From 2002-2005, she served as Dean of the College of Biological Sciences at UC Davis. She comes to us with over three decades of experience in research and higher education, earning her B.A. in Biology from Swarthmore, and her M.A. and Ph.D. in Zoology from the University of Michigan. Dr. Wise is a member of the National Academies of Science (Internal Medicine) and a fellow in the American Association for the Advancement of Science. She has a remarkable record of scientific accomplishment that includes more than 200 scientific publications and an impressive record of over 30 years of continuous funding for her research.